Technology has influenced seemingly every part of our daily lives at this point. From on-demand apps that handle every conceivable service to dating apps that let people find true love, there’s an app for almost anything you can think of. The latest innovation in the mobile app world? Fertility apps. Conceiving a child is not always easy. That’s why more women are turning to a fertility app to get pregnant. On the other hand, too, many people are not looking to have children. Thus, some also use a fertility app to avoid pregnancy. Though it is clear how a fertility app can provide real value to users, not all are equally effective. It is important for a developer to build it with the right features. For users, it is essential they know how to use it for their target result. If it is a fertility app to avoid pregnancy, its features should differ from a fertility app to get pregnant. Here is what you should know about fertility apps and the features they should include. Tracking fertility on someone’s own is not easy. Women who struggle to get pregnant often experience inconsistent cycles. Thus, simply keeping track of their cycle via a calendar will not be effective. First, it is important to understand that fertility apps should not be considered 100% accurate. Many factors influence when ovulation will occur. No digital product can tell a user with 100% certainty when they are most fertile. Thus, if they are using a fertility app to avoid pregnancy, they should not necessarily consider it to be a fail-proof form of birth control. However, if someone wants to use a fertility app to get pregnant, or use a fertility app as a birth control tool, it can certainly help them more accurately predict when they might conceive. They just need to do some work on their own to leverage it to its full potential. Fertility apps work by keeping track of data related to fertility. Users will have to input that data themselves to use the app effectively. For instance, the day after ovulation, a person’s basal body temperature tends to increase by half a degree to a degree. If they are diligent about checking their basal body temperature and inputting the data into the app, it can help them begin to recognize patterns in their cycle. In this way, fertility apps can help them to get pregnant. Or, they can use the fertility app to avoid pregnancy depending on their goals. Think of an app as a learning tool that will expand a user’s overall understanding of fertility. The more data points fertility apps can use, the more accurate it will be. That is why you want to make sure to build an app with the right set of features. A fertility app as a birth control tool that merely relies on basal body temperature to predict when users will ovulate probably will not be useful. 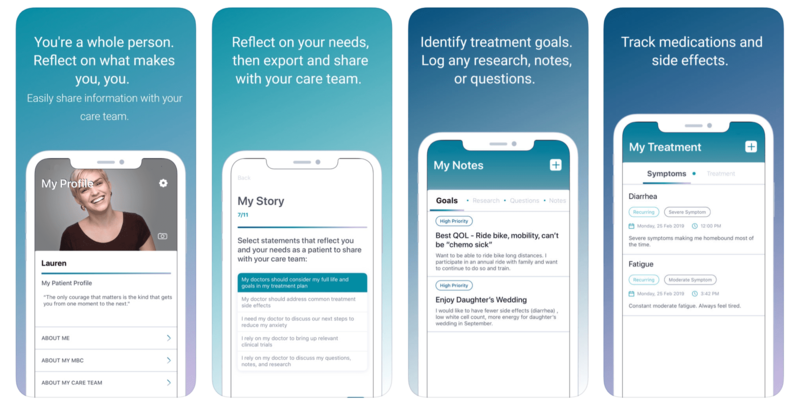 Medical experts recommend fertility apps that track additional factors, such as mood, the effect of any medications you may be taking, users’ sexual habits, and more. Yes, this means you will have to ask users to input more data into the app. However, it also means you and they will get substantially more value from it. It is also helpful if your fertility app offers content related to pregnancy and fertility. Make sure to tailor it to the app purpose, too. For example, if you build a fertility app to get pregnant, then include content relating to what to expect during pregnancy and parenting tips. If it is a fertility app to avoid pregnancy, you can discuss birth control methods and other preventative strategies. By adding this educational element, you can increase the usefulness and value of your product as being more than just a fertility app. Whether your users are turning to a fertility app as a birth control tool or using one to get pregnant, you will get the best results when both they know how to use it effectively and you include the right features while building it. When your users feel like they have found the right app, you will see why these products are so popular among both developers and users.